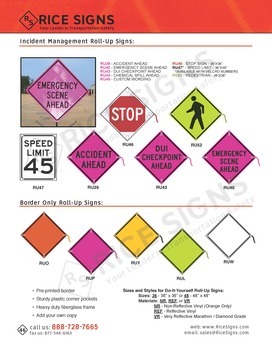 Roll-Up signs resemble traditional traffic signs, yet are constructed from lighter weight materials that can be rolled up and easily transported. 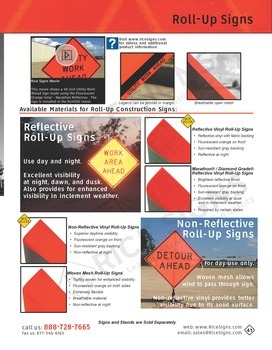 The text and picture that appear on the face of the mesh sign exactly match those of traditional signs, however, mesh signs have some noticeable advantages. 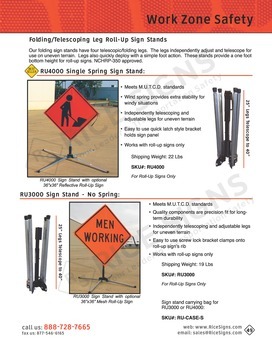 Mesh signs are much easier to install than traditional signs because they attached to a portable sign stand, while aluminum signs must be bolted to stationary poles. 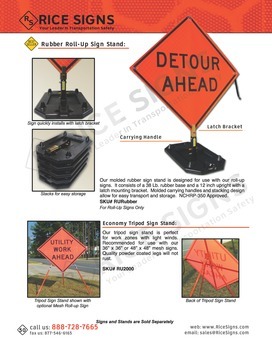 Installation of the mesh sign is very quick because you only have to support the sign with two fiberglass ribs to allow it to be securely attached to the sign stand. 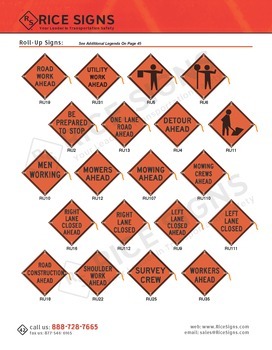 The disassembly of the sign is equally as simple. 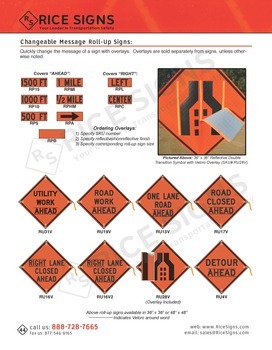 The mesh face of the sign made with a heavy duty lighter weight material that can be rolled up. 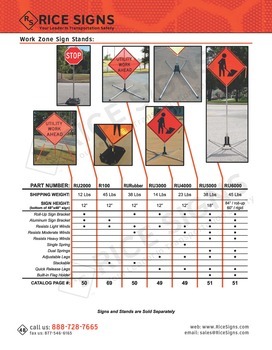 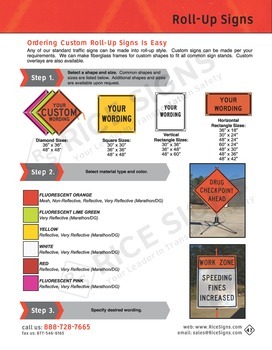 This allows the signs to be stored in less space than traditional signs and makes it easier for your crews to transport. 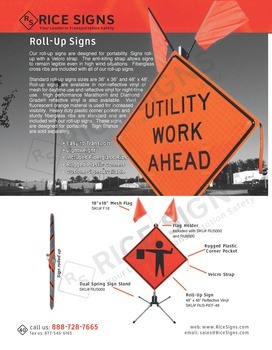 Roll-Up signs are an ideal choice in construction zones and other locations where ease of installation and transportability are desired. 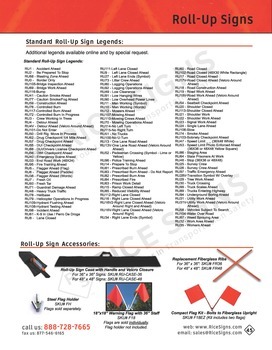 As we are a leading manufacturer of roll-up signs, we have a very large inventory and can ship most roll-up sign orders ship same or next day. 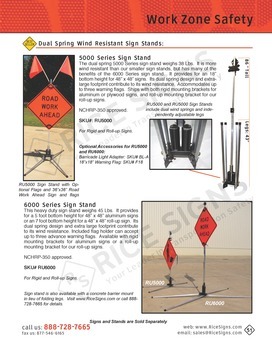 We manufacture standard and custom roll-up signs.